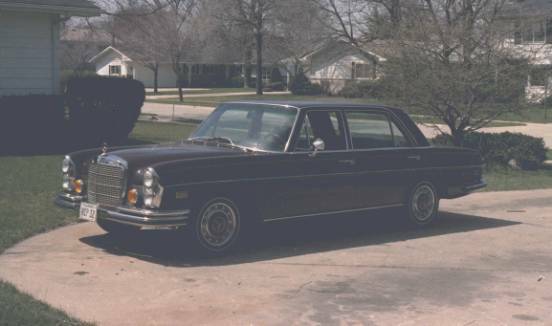 I found this car in Lake Forest, Illinois in 1981. The overall condition was decent, but in retrospect, I believe the car had 150K miles when I bought it. I was absolutely entranced with the way the car drove, like a sports car with four doors and a huge trunk. 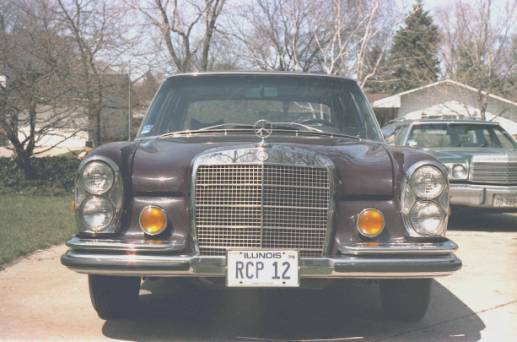 I was more than a little amused when my father began to ask me if he could borrow the Mercedes when he and Mother were going someplace nice. I ended up rather disillusioned with the bills from all of the repairs the car required. I sold it in 1983. It was the best car I have owned - independent of cost. I haven't been in a hurry to get another one, but there are other Mercedes that I would like to own. See the wish list.